Situated in New Town, this apartment building is 0.6 mi (0.9 km) from Runnymede and within 3 mi (5 km) of Salamanca Market and Salamanca Place. Constitution Dock and Hobart Cruise Terminal are also within 3 mi (5 km). Situated in New Town, this motel is 0.4 mi (0.6 km) from North Hobart Oval and within 3 mi (5 km) of Salamanca Market and Salamanca Place. Constitution Dock and Hobart Cruise Terminal are also within 3 mi (5 km). Situated in New Town, this luxury hotel is 0.5 mi (0.8 km) from Tasmanian Hockey Centre and within 3 mi (5 km) of Salamanca Market and Salamanca Place. Constitution Dock and Hobart Cruise Terminal are also within 3 mi (5 km). 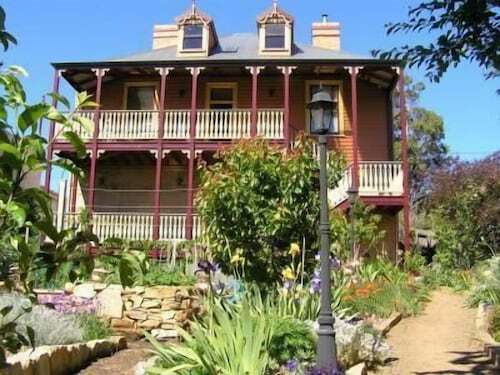 Situated in New Town, this bed & breakfast is 0.6 mi (0.9 km) from North Hobart Oval and within 3 mi (5 km) of Salamanca Market and Salamanca Place. Constitution Dock and Hobart Cruise Terminal are also within 3 mi (5 km). Want to go to Tasmania and its capital, Hobart? You and your family could see the district of New Town, situated 3 kilometres north of the CBD. If you are heading to Hobart for a short time or a good chunk of time, the Cascade Brewery, theatre Royal and Mt. Wellington will keep you entertained. Planning to see the best of New Town? The Royal Tasmanian Botanical Gardens is worth your time. If you're a fan of modern-day architecture, head out and admire the smooth lines of Tasman Bridge. Want to put your feet up near this place? 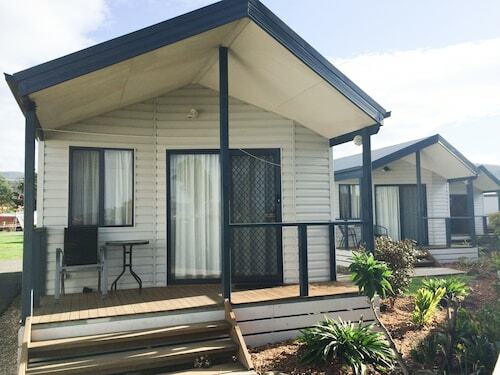 Check the rates at The Henry Jones Art Hotel and The Corinda Collection. Government House is an established government building. Appreciate it from the outside or check whether there are any special events happening inside. Look into the Somerset on the Pier Hobart and Somerset on Salamanca Hobart to be closer to this attraction. Are you and your travelling companion planning going to New Town? 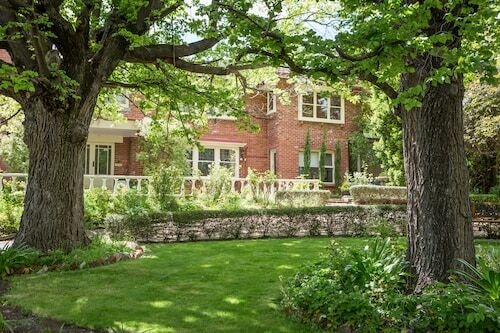 If you're able to spend a bit more, it's worth having a squiz at the rates at the Hobart Gables. Keen to check out a cafe or two in New Town? Whether you're meeting friends or simply sitting back in a cozy corner with a good book, you can't go past Jean-Pascal Patisserie. Once the caffeine wears off and your belly starts craving something a bit more filling, have a browse through the menu at Annapurna Indian Cuisine. This popular eatery plates up some seriously tasty food. Your night could be ending or just getting started. Either way, a few beers at Carlyle Hotel certainly couldn't hurt. Don't pull your hair out if you can't find the best New Town hotel room. 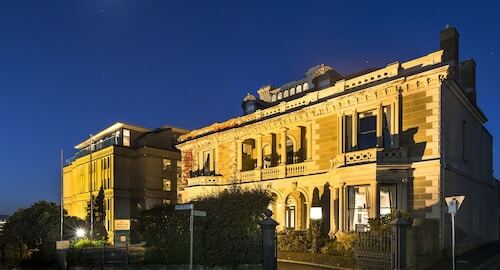 You'll find more places to stay in the Northern Hobart hotels guide and the Wotif Moonah hotels guide. 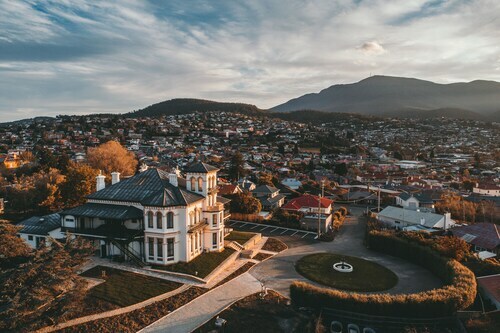 Northern Hobart is 2 kilometres from New Town and Moonah is approximately 2 kilometres away from New Town. If you're ready to escape the daily grind and start adventuring, Wotif is happy to help, from hotels and flights to car hire and activities. How Much is a Hotel Room in New Town? Hotels in New Town start at AU$81 per night. Prices and availability subject to change. Additional terms may apply. I liked the closeness to the beach. And how easy it was to check in and out.